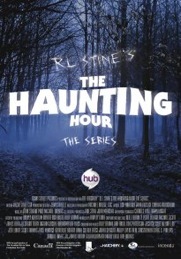 Mixing has begun on Season 3 of The Haunting Hour, an anthology series based on the best selling books. I’ve been mixing SFX on the series since Episode 1, teaming up with with Greg Stewart on Dialogue and Music. Sound Editorial and Mix is at Post Modern Sound.